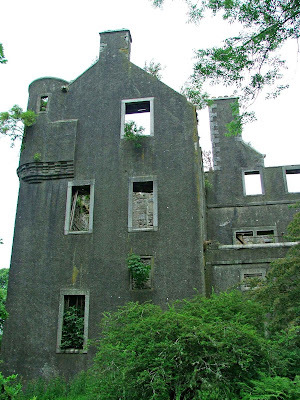 My name is John Gordon and I firdt learned of Kenmure castle on the House Of Gordon website a few years ago. I have fallen in love with this place since. I agree somebody should be taking care of the castle. I would love to be that person, but unfortunatly I live in the USA. 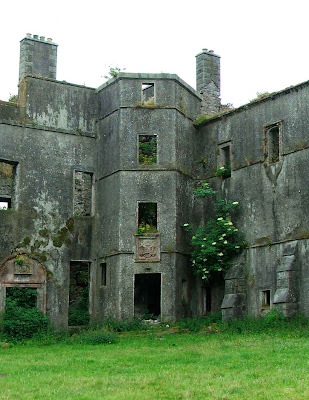 I don't have the means to restore and maintain Kenmure Castle. Thanks for the great photos. Have just seen this fabulous building for the first time at the weekend and totally fell in love with it, although I had no idea it existed and knew nothing about it. Now I know the reason for the strange attraction, my surname is Gordon! It is a most beautiful place to visit. I was brought up less then half a mile from this castle. It's a wonderful place and belonged to the Gordons until recent. 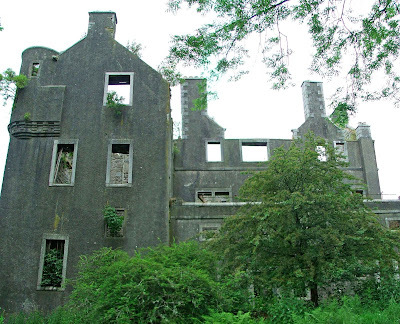 I was playing inside this castle when I was little, it was a ruin even then but I loved this place and I have a very strong connection with this Kenmure area.Lots of strange happenings here too,very creepy area. I still go back but its sad that it has fallen futher into ruin. This place was until the mid 50's a hotel but fire destoyed the place. My great-great-great-great-grandfather was a gardener here in the mid-1700s. It is indeed sad to see the beautiful place in ruins. 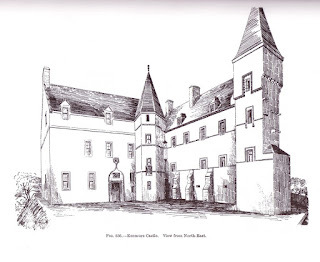 My great great grandmother inherited Kenmure Castle and lived in the US at the time. Evidently she didn't want to pay the back taxes and own it as she was not returning to Scotland. Accordingly, it was said that it was turned over to the state. 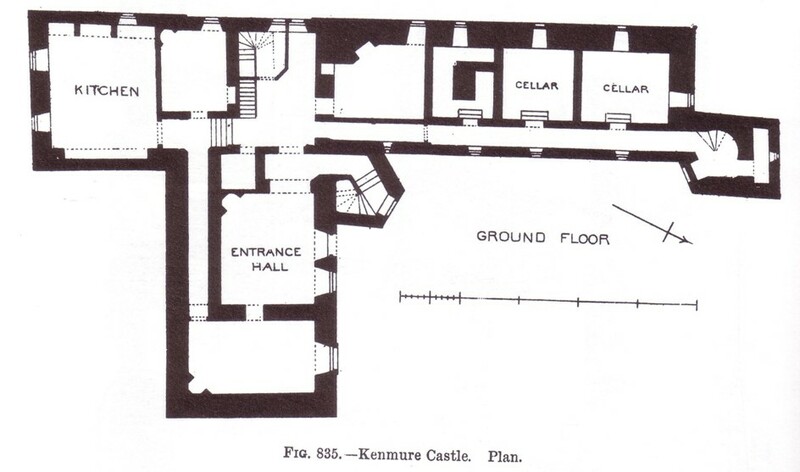 What a shame, we are still learning about the castle as my mom has the blue prints and other items from the lawyer. 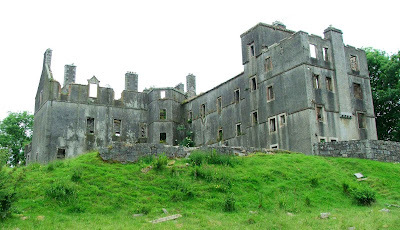 My great, great, grandmother also inherited this castle and turned it down. If you are the person named, "anoymous" who wrote about your great, great grandmother, please email me at annarubin@aol.com and we can compare notes. 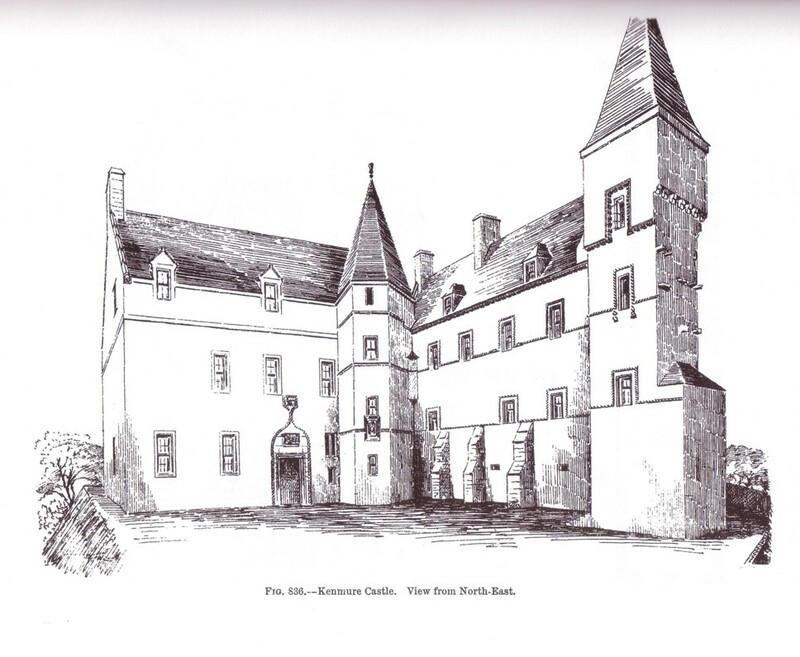 Like Jennifer I grew up playing in the grounds of the castle after it fell into disuse in the early 60s.My aunt actually worked there when it was inhabited as a castle! Can anyone tell me where the interior trimmings went prior to the roof being removed? It wassupposedly sold to an American buyer. i have today for the first time visited this castle and also fell in love with it but i did norices something rather strange about it, allthe downs stairs windows have bars on them and no doorways are evident on the whole once side of the building i was wondering if it had ever been used as a sanitarium? Back in the 1950,s I spent every summer holiday in the area and sometimes fished on the lough with my cousin who was a shepherd off the Newtown Stewart Road. 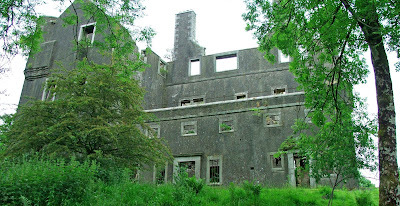 No ,it was never a sanitarium but a hotel at the time and inside the entrance to the building was ,so I am told a case displaying a PIKE which was supposed to have been the biggest pike either caught in the lough,or may have been the biggest caught in the world. My cousin said that the owner , a South African demolished the roof so that he would not have to pay whatever bills were owing. Such a crime .Also I remember my cousin and his teenage friends saying that there was an underground tunnel from the castle to ,where I am not sure.We were friendly with a guy with the surname Mackintosh whose fmily worked at the castle . What a shame to look at it in its present state. I don't want to make anyone jealous but I have this castle in my back garden :-) we live in the steadings and can see the castle from our kitchen and bedrooms windows..
My late partner was a kenmure Gordon we visited the castle many times and I have photos. and information about it. Iam a History Teacher who grew up in Dalry and used to roam the countryside on my bike or on foot looking for old places and ruins. I had then , and still have today, romantic notions of times long gone and always kind of 'felt' the past whenever I was near buildings/places of historic interest. 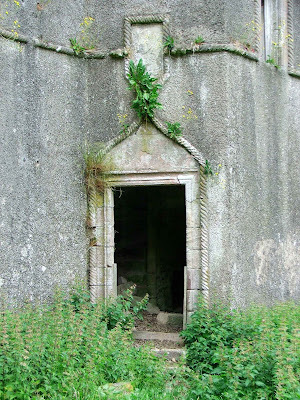 I am not sure if I ever visited Kenmure castle itself as a child but recently a friend of mine and her family did and since then, the castle has caught my imagination and interest so I have been trying to find out as much as I can about the castle. i simply cannot believe that this is not under Historic Scotland protection. We have to fight this. 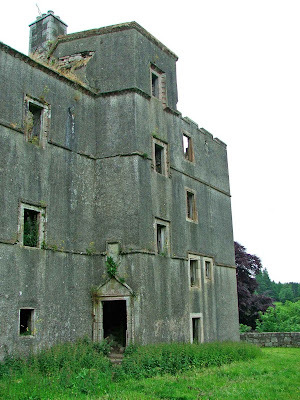 A place with such a rich history and connections with Burns, Cromwell, Mary Queen of Scots and John Balliol should be restored or at best, made into a visitors centre such as that of Dundrennan Abbey and other castles. I live in Kirkcudbright and often visit the Maclellan's town house and the site of the old castle on the High Hills- now all gone- and try to envisage what they were like. 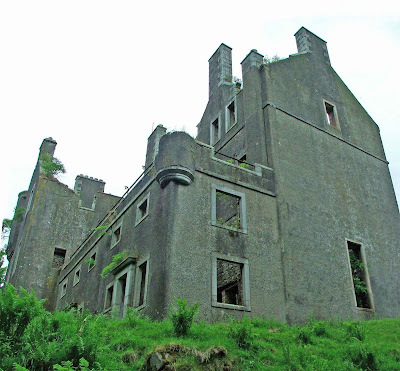 I soo wish I had the money to restore Kenmure. These beautiful homes, steeped in our heritage and past, should be maintained looked after. I would transform it - such as like Dumfries House and other homes- into somewhere that would spark the imaginations of young and old alike. Somebody, please help and if there is anyone out there who can send me anymore stories or information I would be much obliged. Just back from a visit to the castle. A very foreboding building gave me the shivers felt it was very creepy. On returning home and looking through our pics some were really weird. One looked as if at one of the windows at the back of the building there was numerous faces in a window with bars infront.Ive seen it now but dont think id return felt quite sad when i left didnt feel it was a happy place. I'd be really interested to find out more of it's history though. It is fascinating to read this comments about Kenmure, somewhere I have known of for years, but never had the chance to visit. 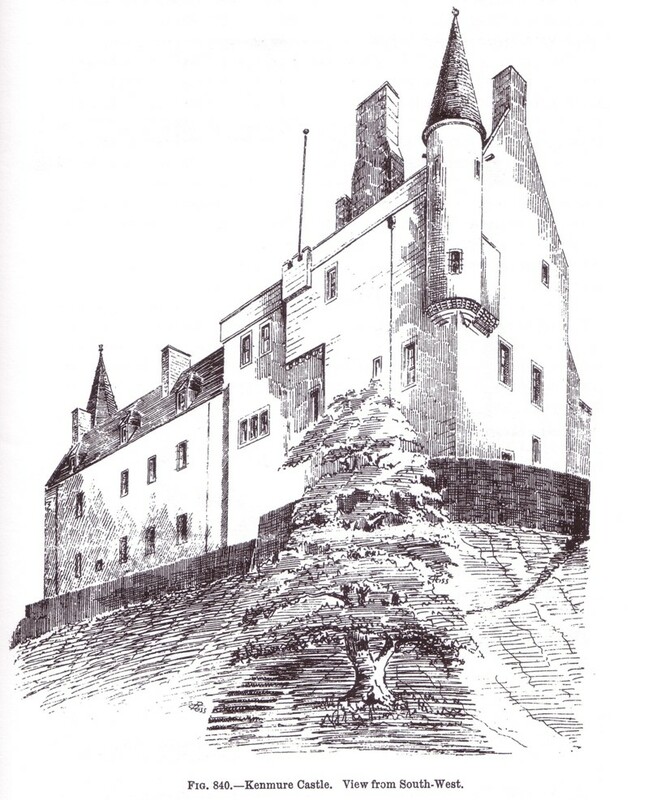 My own family lived in the area near Huntly in Aberdeenshire. 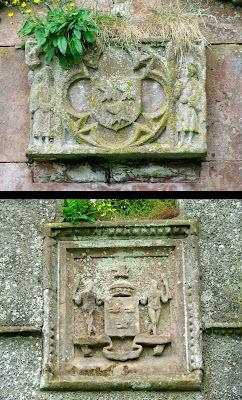 I hope it's not inappropriate if I mention the existence of the House of Gordon clan society, which may be of interest to those with Gordon family links. We have a facebook page at www.facebook.com/houseofgordon where we post regularly on Gordon family history and news, and we recently featured Kenmure. We also host a 'clan tent' at the Aboyne Highland Games, which is always held on the first Saturday of August, and is presided over by the Chief (a distant cousin of course of the Viscounts Kenmure). My mum was Thelma Coid, born and raised in New Galloway. in 1963. We played all around the place, but what I remember the most was the carpet of daffodils through the woods in the springtime. A magical place for kids! !